I not only remember this candy, it practically ruled my life for years as a teenager! This was THE candy to have at the movies, for the group of kids I ran around with. If you didn't order Milk Duds at the movies... then you might as well sit somewhere else in the theater until the movie ended. It also was the candy of choice, to have backstage during the plays that we put on in high school. 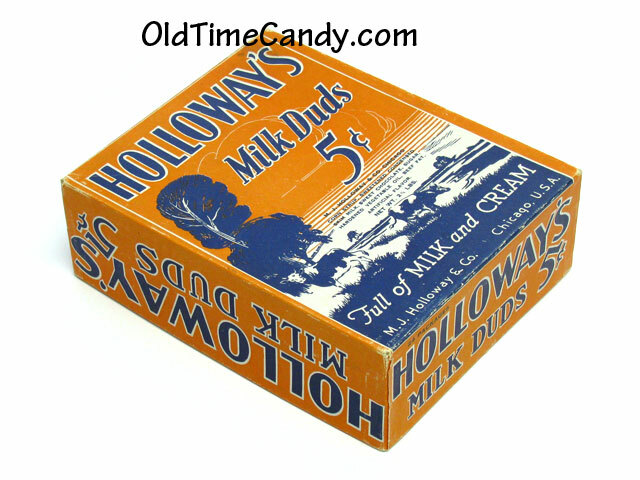 To this day, I remember eating Milk Duds all the time... by the handfulls! AND... I still have in my so called "high school box"... an empty package (box), for the memories that it brings to me! Are Milk Duds Gluten Free? Hershey's goal is to keep each product's nutrition information up-to-date and accurate but please consult the label on the product's packaging before using. If you notice that something is different on a product's label than appears on our website, please call us for more information at (800) 468-1714.